Beijing Guitar Duo Post Concert; What a phenomenal young duo! Marcin Dylla after his incredible concert! Ivan Rijos jamming with is long time friend, Jorge Pastrana, at a get together after his concert. 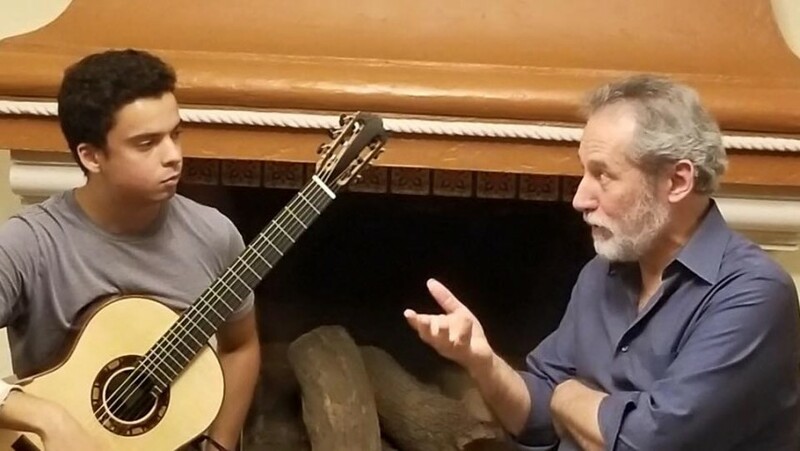 Classical Guitar is a unique and well sought after talent; more people are learning to play every day, but there are few that can play at a professional level. The music is great for many different venues, including: parties, weddings, restaurants, and more. 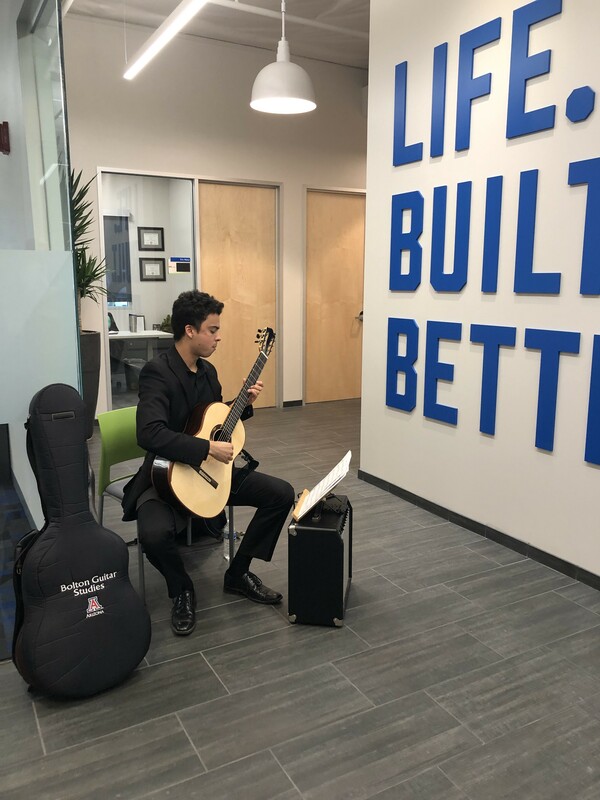 Noah Weig-Pickering is a recent graduate from the Bolton Guitar Studies Program at the University of Arizona, and has been playing classical guitar for 11 years. He has also been a finalist in multiple competitions at the U of A, and was the winner of the Wolfe Competition in December 2016. In addition, Noah has worked with numerous world renowned guitarists including: Marcin Dylla, Soloduo, David Russell, and many more. Noah was the perfect entertainment for our event. Beautiful music for the evening. Thank you for making our event so special. We loved working with you. You will have a long and storied career in music! Wonderful experience with Noah. Guests loved his music and his very pleasant demeanor. We would invite him again and recommend him to anyone. Noah is absolutely awesome. This is the second time I’ve had him at an event. Guests love him. Noah is very talented and provided the perfect music for our patio party. He showed up on time, prepared and was very nice. I would definitely hire him again. Noah was a delight! Beautiful music and guests loved it. Noah did a great job playing background music for our dinner party fundraiser evening. We all appreciate you Noah! Noah was exactly the classical guitarist what we were hoping for when we were planning our cocktail party. He is professional, responded to our emails promptly and showed up on time. Best of all, Noah plays the guitar beautifully! I highly recommend him. I hired Noah to go to my parents house to play for them for an hour for my mom's 80th birthday. He was wonderful and they loved it!! Noah was the perfect choice for our event. Beautiful music and very professional. We would absolutely book him again. Excellent musician that had a wonderful Classical selection and very professional in his presence. I would use him again and all 40 of our friends loved his playing. Very pleasant and accomplisht young man. Very pleased with his performance! 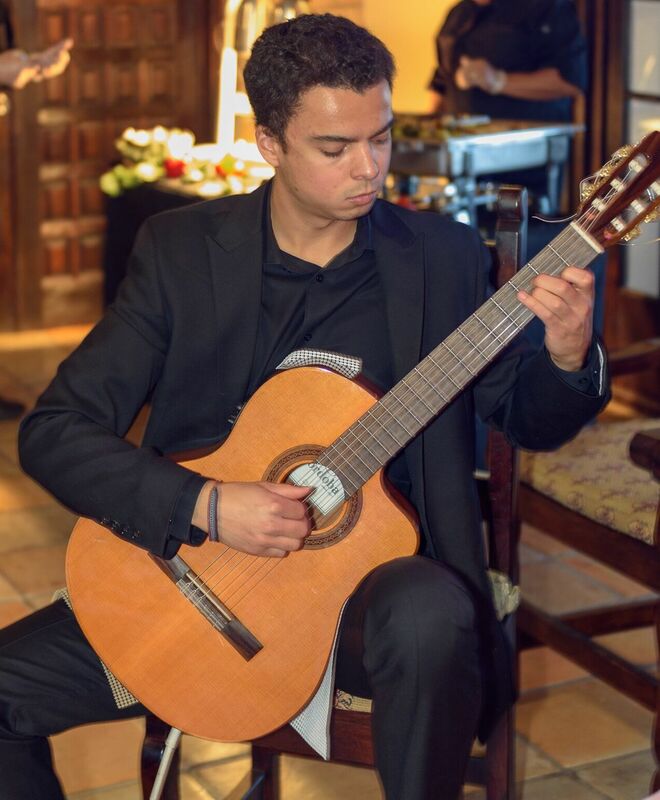 The classical guitar is a quiet instrument (much more quiet than the sound of an electric guitar) and is typically better for professional or intimate settings/ gatherings. When I tell people that I am a classical guitarist, I've had responses as wild as, "Oh, so you play the classics? Like classic rock, right?" To straighten this misconception out, although I enjoy playing other genres in my free time, I perform music typically ranging from the 17th century through the 21st. Classical music as a genre is very broad, and encompasses the Baroque, Classical, and Romantic Eras of music, and additionally includes 20th century experimental music with atonalism. The cultural styles are incredibly vast as well, encompassing composers from Spain, Brazil, France, and many other countries. In short, do not expect some simple singing accompanied by light strums on the acoustic guitar. I believe the classical guitar is one of the most beautiful instruments, and I hope that you will enjoy it as much as I do. 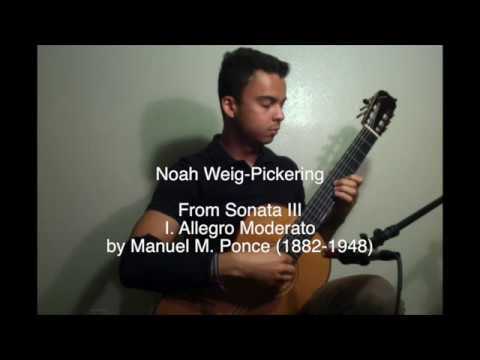 Noah Weig-Pickering is a recent graduate from University of Arizona, and a student of Tom Patterson's in the Bolton Guitar Studies Program; he holds a BA in Classical Guitar Performance and a Minor in East Asian Studies. Weig-Pickering started playing guitar when he was in 6th grade at the Albuquerque Academy, in Albuquerque, New Mexico, under the tutelage of Mickey Jones and Jeremy Mayne. 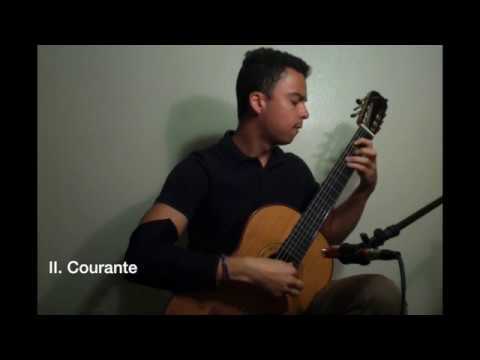 Throughout his high school career at Albuquerque Academy, he was blessed with many opportunities, ranging from playing on the Austin City Limits Stage to even participating in a world premier of one of Roland Dyens later compositions, "Carillons", in the New Mexico Classical Guitar Summer Festival. 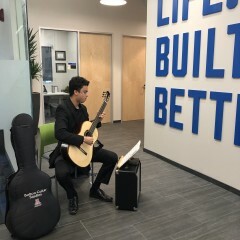 As a member of the Albuquerque Academy Honor Guitar Quartet from 2012-2014, he was able to open concerts for renowned artists such as: The Los Angeles Guitar Quartet and Soloduo. Additional key artists who worked with him throughout his high school career include: Martha Masters, Vladimir Gorbach, Ben Verdery, and many others. Attending the University of Arizona allowed Noah Weig-Pickering to grow immensely as a musician. 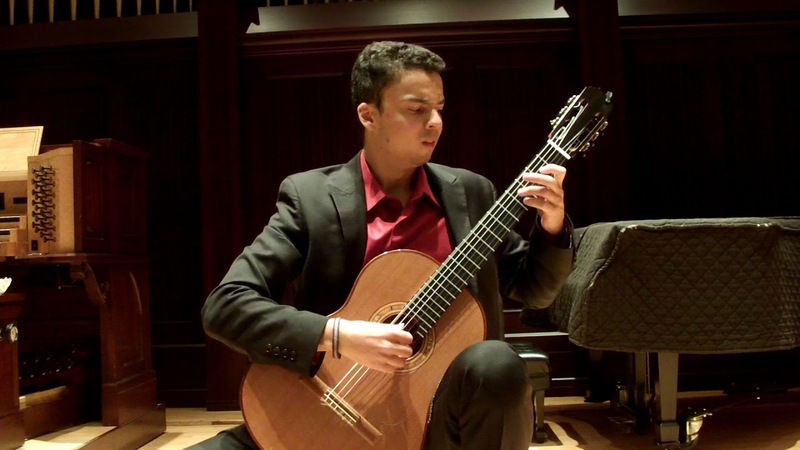 Over his undergraduate career, he had incredible opportunities to work with, and soak in musical ideas from amazing artists such as: Sergio and Odier Assad, David Russell, Judicaël Perroy, Marcin Dylla, Zoran Dukic, Lorenzo Micheli, Mateo Mela, Beijing Guitar Duo and many others. The summer of 2017, Weig-Pickering traveled to Quebec, Canada for a Classical Guitar Festival and was able to work with Alvaro Pierri, Patrick Roux, Bruce Holzman, and others. Currently, Noah Weig-Pickering spends his time teaching privately, as well as teaching at the Satori Charter School. He is figuring out the next steps in pursing a Masters Degree, and must narrow down the possibilities of staying in the U.S. or traveling abroad to Europe or China to continue his studies. In his free time, he enjoys composing, staying active, and spending time with friends. 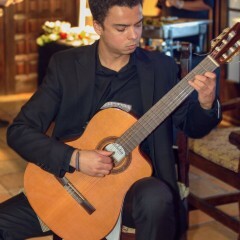 I prefer playing on my concert guitar whenever possible, but if there are a large number of guests at your event, I do have a second classical guitar with a pickup and amplifier to make sure the sound projects enough. Many people (non-exclusive to artists) have influenced me throughout my life in many ways, but I will keep the list limited to select musical artists, since I feel I am unable to properly list all of my influences.